I have this habit of not seeing the newest movie the weekend it comes out. The whole ‘adulting’ thing gets in the way–working, running errands…that sort of thing. But if I REALLY want to see a movie I will see it, and I REALLY wanted to see Jurassic World and Inside Out. After watching both films, it dawned on me how incredibly different they were…and how that spoke volumes about how different the theme parks/companies are. Without letting any spoilers slip, I will explain why I came to that conclusion. On one side, we have Jurassic World. It’s prehistoric meets futuristic. It’s thrilling. It makes your heart pound. It makes your heart stop. It makes you sit on the edge of your seat. When I want thrills, I go to Universal. Let’s face it: the roller coasters they have beat Disney’s any day. Don’t get me wrong, though–I love Space Mountain and Rock ‘N’ Roller Coaster, but they don’t really compete in the same thrill category as The Incredible Hulk, Rip Ride Rockit and even The Mummy (which is one of my all time favorite rides). Universal is also more of a ‘big kids’ theme park. The rides are a bit more intense and they follow a good storyline when based off a movie/franchise. It’s geared toward a more mature audience, in my opinion, and Jurassic World was geared toward that same audience. On the other side, we have Inside Out. It tackles a complex idea–what are those voices inside your head and how do they affect how you feel/act/react? It’s emotional. It’s family friendly. It’s relatable. It brings back memories. Disney is complex, first and foremost. Not to say that Universal isn’t…but I think Disney wins in this battle. 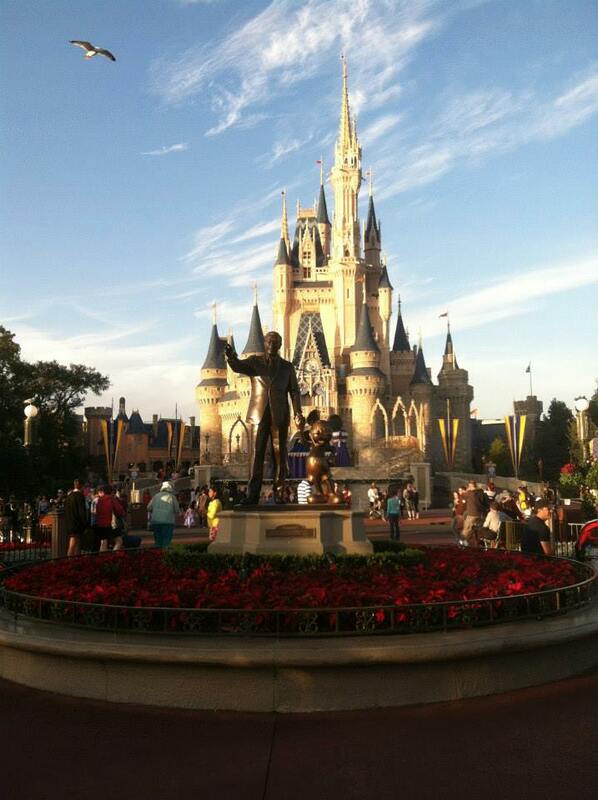 Magic Kingdom alone is a well thought out, well themed park with several lands that all come together in the middle. Islands of Adventure also has lands but…I just don’t think they do it as well as Disney does. Disney is more of a family resort. It’s designed to evoke emotion and immerse you in a world of fantasy from the moment you walk into the park until the moment you leave. It’s for the young and the young at heart, and Inside Out was truly a film for all ages. Universal does thrills/intensity better. Disney does immersion/emotion better. They both accomplish the same things in their respective parks, but there’s something about each of them that makes them stand out, and that’s why both films stood out as well. Did you see both films? Did you have a favorite? Did you see elements from both parks present in the films? Comment below and let’s start a conversation! Who is The Theme Park Princess?